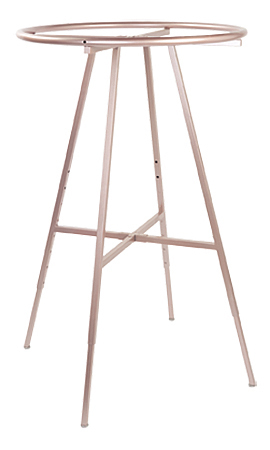 Maximize floor space with this attractive Rose Gold Round Clothing Rack. This garment rack features a 36" diameter hangrail to efficiently hang your merchandise. This rack makes it easy for your customers to shop! Additionally, this rack features a height between 48" - 72" adjustable in 3" increments. Adjustable leveler glides included.